Are you in need of more than a regular vacation to your usual destination? 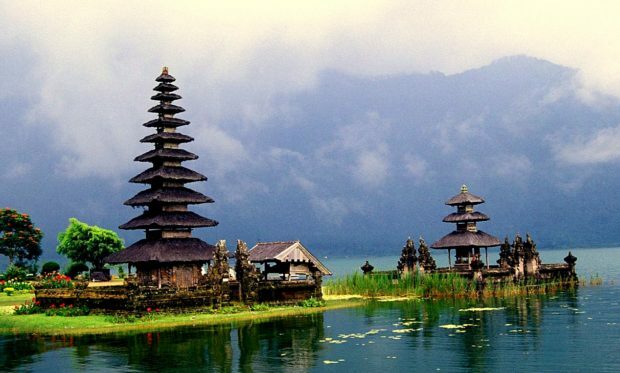 If you want to visit an actual paradise on your trip, Bali is the right place for you! This island is not only unique but it is actually known to attract people of all ages and all kinds of travelers. The wonderful Bali is packed with everything a traveler would want – whether it is tasty food, adventure, or parties until the morning. The beautiful haven in Indonesia has so much to offer, it would be a shame not to give it a shot. 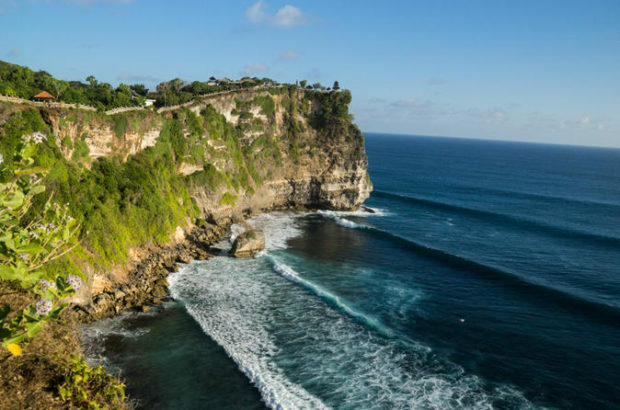 A must-visit location in Bali is the Uluwatu Cliff Temples. This spot is located south-west of the island and is known for surf breaks, great beach bars, and hotels. You can find your accommodation here too – there are private villas and exclusive hotels, as well as excellent restaurants to eat in. If you are looking for some party time, you need Seminyak! This is a much-needed change for those who crave some fun in all the chilled atmosphere Bali provides. 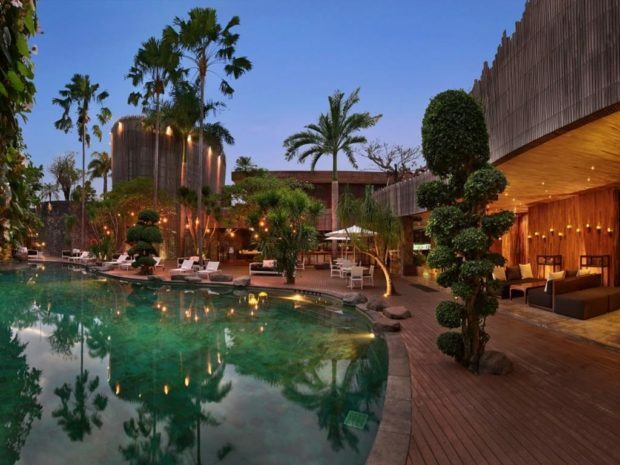 The Ayana Seminyak is the party spot in Bali – filled with live music clubs, nightclubs, restaurants, and bars. Just at the edge of the Bedugul’s Baratan Lake, you will find one of the most beautiful buildings in Bali. This temple is dedicated to the lake’s goddess and is a serene destination on the island. Check out the various shrines dedicated to a different god, look at the splendid architecture, and simply enjoy an adventure in the secluded Temple in Bali, Indonesia. Do you love surfing or perhaps want to try it? Kuta beach gives you gentle waves where you can try out this beautiful sport and is a wonderful sanded beach where you can rent a bodyboard for more strenuous activities. In central Bali, you can find Ubud, a unique place in Bali that is nothing like the remaining tourist towns. This spot is not as calming as you might think, even though it is much different than all others – it is a wonderfully romantic spot where you can find many things to do, combined with a beautiful cuisine to try out. The waterfall is spectacular. 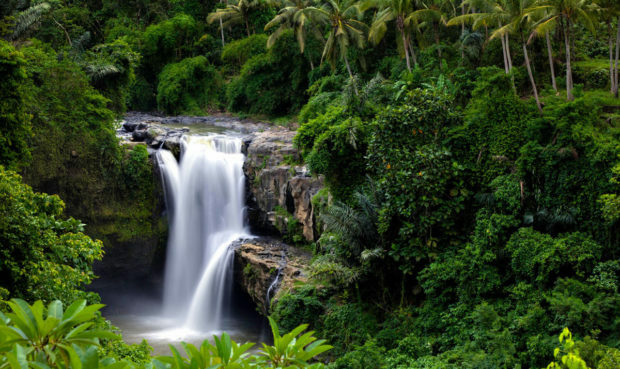 You will have a 15-minute walk from the location where you can get by vehicle to the actual waterfall and the views you will encounter on the way are some of the most popular in the Bali area. As soon as you get there, you will have the pleasure of swimming in a pool made by the actual waterfall and make some of the best pictures you will have in your life! From Ubud, use a car or bus to take you to Pdang Bai, the Ferry port town. This is where you can get a ferry to the popular Gilli Islands at a very reasonable price. 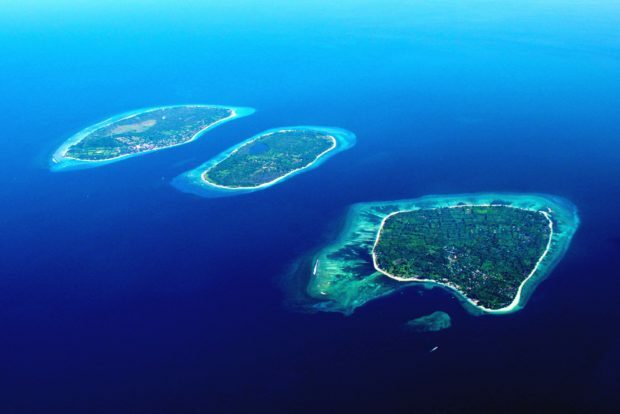 The Gilli Islands make a trio, with Gilli Trawangan being the biggest of the three. If you are a backpacker or simply want to move from the main island, you will surely enjoy this great backpacking, fun experience. The islands are small when compared to the other, neighboring islands. You will find no mopeds or cars on it, which will probably be a huge relief after your time spent in the busy Bali center. To move around, you can rent a bike for the day and visit the entire island. We recommend taking a snorkeling trip to check out the wonderful turtles. Gilli Air is a great place to do this, and it is a much more tranquil one than the remaining two of the trio. Gilli T features a turtle conservation center. 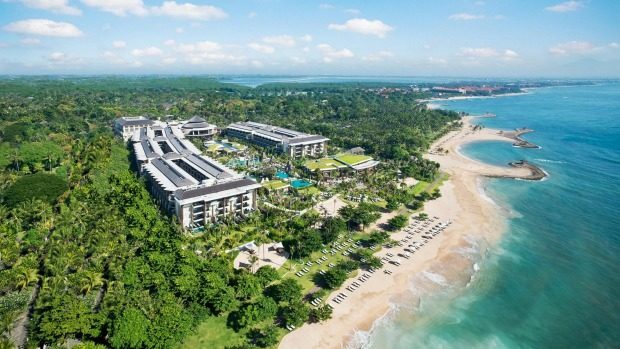 Finally, you will want to visit the beautiful Nusa Dua. Gilli T is popular for its bars and nightlife, packed with travelers and backpackers who love to party late into the night. 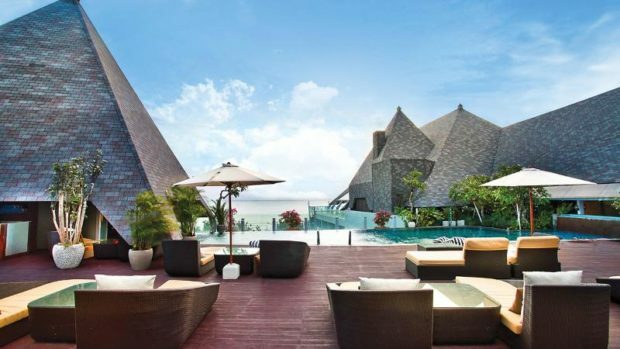 Going back to the main island will mean relaxation after all that partying and we advise you to visit Nusa Dua for R&R. The Bali currency is Indonesian Rupiah. A USD dollar equals 66.6 IND. Get in a taxi only if they go by the meter. Otherwise, you may be a victim of a scam. Travel lightly because Bali will require plenty of moving around. Plan your route to visit some of the best places – Bali is a very big place. Get travel insurance – the water can make you ill. Pack your bags, get your maps and plans, and go on the vacation of your dreams! Bali is definitely a dream vacation and all those other traveling experiences you’ve had will not even come close.